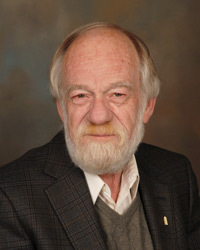 Dr. Richard Holley of the University of Manitoba has provided a guest editorial which is this issue's Featured Article. 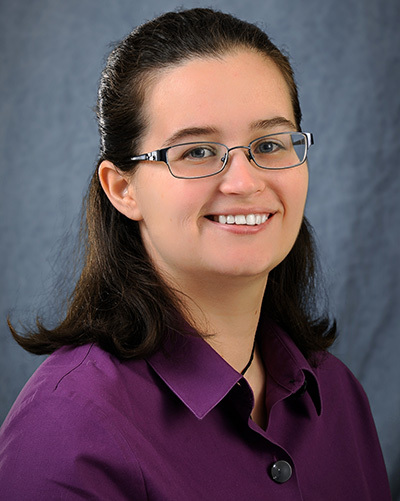 Dr. Holley has been a strong advocate of food irradiation as a food safety intervention. During his tenure at the University of Manitoba he has been witness to many food safety incidents in Canada and elsewhere. He knows first hand the consequences of food borne illness outbreaks and massive recalls on human health as well as business activity and economic impact. 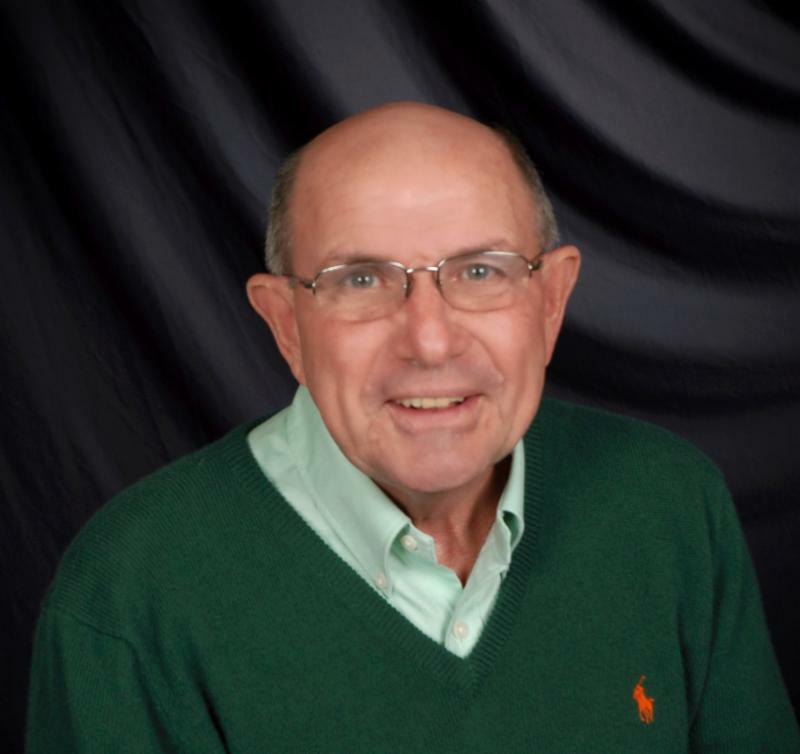 Dr. Holley is not only highly knowledgeable but he is also practical. His article is a "must read" and hopefully his words will motivate the Canadian government to move forward with the necessary approvals to strengthen the safety of the Canadian food supply. MYTH of the MONTH:"E-Beam Irradiators are faster than Gamma Irradiators: "
Also in the News: Rep. of South Africa kicks off Sharon fruit export campaign. Mexican figs now eligible for US import. 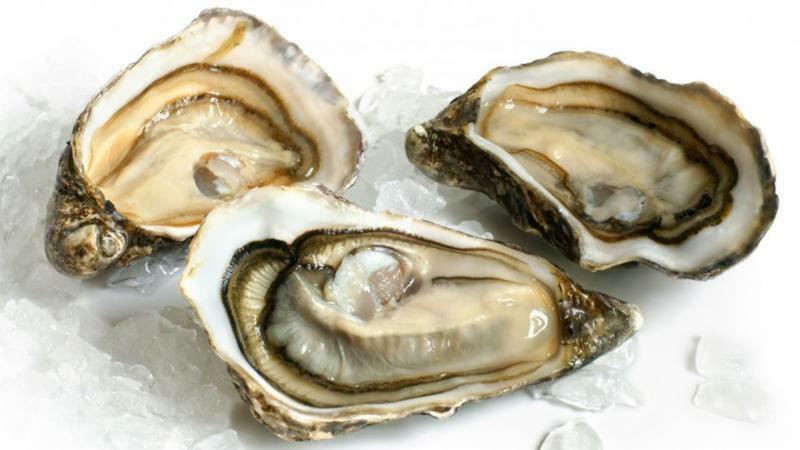 Food Safety 101: Vibrio in Shellfish. FEATURED ARTICLE: Food irradiation adds cost but makes sense; By Richard Holley PhD, University of Manitoba, Canada. Canada was an "early adopter" of food irradiation, but its status in Canada has remained unchanged for almost 50 years. This article explores reasons for maintenance of the status quo and offers a glimpse of how irradiation can be strategically used to improve the safety of food and the health of Canadians. If government food safety initiatives and oversight are risk- and science-based in Canada, it is difficult to understand how the current impasse in appraising the application for extended use of food irradiation has occurred. On July 16, 2013, Health Canada granted "expedited status" for the evaluation of a petition from the Canadian Cattleman's Association (CCA) to use low dose ionizing irradiation to eliminate E. coli O157:H7 from beef. There has been no meaningful progress to date, and no apparent political will to change that. While the Consumer's Association of Canada supports adoption of the proposal and is impatient with the lack of progress, Health Canada is reluctant to move forward because of a history of activist opposition to the extended use of food irradiation to other foods beyond its permitted use at 0.75 kilogray (kGy) for onions and potatoes, 1.5 kGy for grain and flour, and 10 kGy for spices and dried seasonings. During debates in 1986 and again in 2002 when an initiative for expanded use of food irradiation became a legislative proposal in Canada Gazette Part I, focused opposition led by activists halted its adoption. While the CCA petition seems to have been temporarily swept under the rug and although it is hard to determine its status because of regulatory opacity, it appears that there will be little regulatory action until food irradiation is proven harmless to activists. It is uncertain how activists might differ physiologically from the normal consumer; however, it is clear that most are poorly qualified to design, conduct or evaluate scientific work examining the effects of this process on food (Note that issues associated with psychology and psychiatry are beyond the scope of this article). The scientific basis for the toxicological safety and nutritional adequacy of food irradiated at doses of ≤ 10 kGy has been firmly established as a result of the most extensive body of international research ever accumulated for any food process.2 Doses sufficient for sterilization of food with unaltered sensory characteristics (≤ 60 kGy) were similarly considered acceptable and have been used to prepare food for NASA (and Canadian) astronauts for > 40 years. Both Health Canada and the CFIA5 have taken positions in support of the use of irradiation to improve the safety of food, but do not permit its use for that purpose in Canada. The safety of irradiated foods has been endorsed by the United States (U.S.) Centers for Disease Control (CDC), the U.S. Department of Agriculture, the U.S. Food and Drug Administration, and is approved for some food use in over 55 countries. Further, the CDC states that "food irradiation is a logical next step to reducing the burden of foodborne disease in the United States". 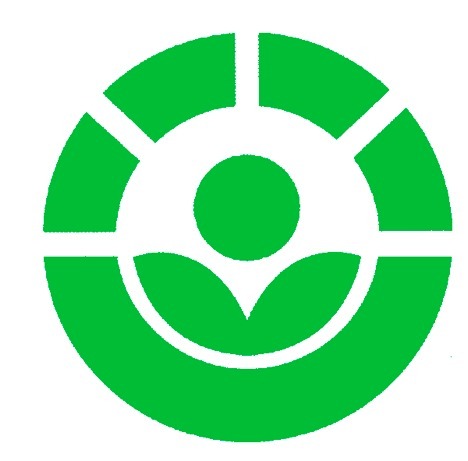 The greatest potential value from the use of ionizing irradiation to enhance food safety is by treatment of uncooked foods of animal origin, particularly poultry, where "good food" is naturally, unavoidably and consistently contaminated with Campylobacter, Salmonella and toxigenic E. coli (beef), in spite of the best application of good hygienic practices and sanitation in abattoirs and packing plants. With the proliferation of "zero tolerance" rules in North America for pathogens in uncooked foods, the escalating waste and unnecessary cost of recalled animal and plant-based foods because they are not pathogen-free, the use of irradiation becomes an attractive solution. It is ironic that delayed adoption in Canada of expanded animal and plant- based food irradiation and adoption of "zero tolerance" rules have both been driven by "consumer" pressure, which has been fostered by perceived risk to the regulators themselves from the consequences of making either a science-based or politically expedient decision in response to the petition. morbidity and mortality, I am disappointed that the evidence to date in Canada shows that the responsible regulatory authority appears reluctant to use available science as the basis for rule making. CAPETOWN: The South African sharon fruit harvesting season has started with the packing on 27 March of the first fruit at the Arisa packing facility in Buffeljagsrivier in the Southern Cape. 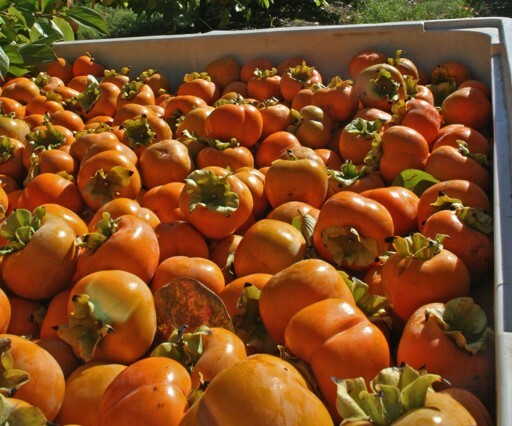 Irradiated South African persimmons are entering the US. All persimmons from South Africa must be irradiated. Currently, Gateway America in Gulfport, Mississippi provides the irradiation service persimmons destined for the US. The start of the season marks a period of increased job opportunities in the orchards of the Southern Cape, as well as at Arisa and the returns generated from export and sales to the local market are regarded as a major boost for the region's rural communities. The quality of the 2015 fruit is reported to be excellent following good growing conditions during the summer and Arisa expects to pack around 7,000 tonnes of the fruit. Apart from increasing market share in its main market of western Europe, the South African industry is also looking towards taking advantage of having gained access to the US market last year. Only a limited number of containers were exported to the US in 2014 as shippers adjusted to the rigorous import protocol imposed by the US authorities. "We were very successful with those shipments and we look forward to increasing shipments this year," said Sharon Fruit South Africa's project manager, Pine Pienaar. The industry is also enjoying success in building its market share in South Africa. In recent years special market development and capacity building projects in the informal sector have exposed many more South African consumers to what is normally regarded as a fairly new project. "We extended our market development programme to the Western Cape last year, after initially launching it in Gauteng. This year we will also include the Durban region," said Hein Smal of Mor International in South Africa (MISA). Sharon Fruit was introduced into the South African fruit industry some 20 years ago by the Israeli company, Mor International, who commissioned the first central packhouse and also invested in extensive plantings. Since then the fruit has found a very special niche in fruit production in South African - the only country in the Southern Hemisphere where it is grown. The Southern Cape region has been specially selected because of it ideal climate and growing conditions in order to supplement volumes grown during the counter season in the Northern Hemisphere. "The excellent climate of South Africa's south-western regions is just what sharon fruit needs to deliver the best tasting fruit, bursting with juice and flavor," said Pienaar. After a period of consolidation during the past few years when production was focused on only the best climatic conditions of the Southern Cape, the industry is ready for a new period of growth. "We have a great deal of confidence in the future of the sharon fruit business in South Africa," said Mor International executive Meir ben Artzy. "Our investment in both the trade and consumer education programmes in South Africa is proof of our commitment. With access into new markets such as the US and the Far East there is much scope for further growth." The new season continues till the middle of July. The first export containers are expected to leave Cape Town shortly. 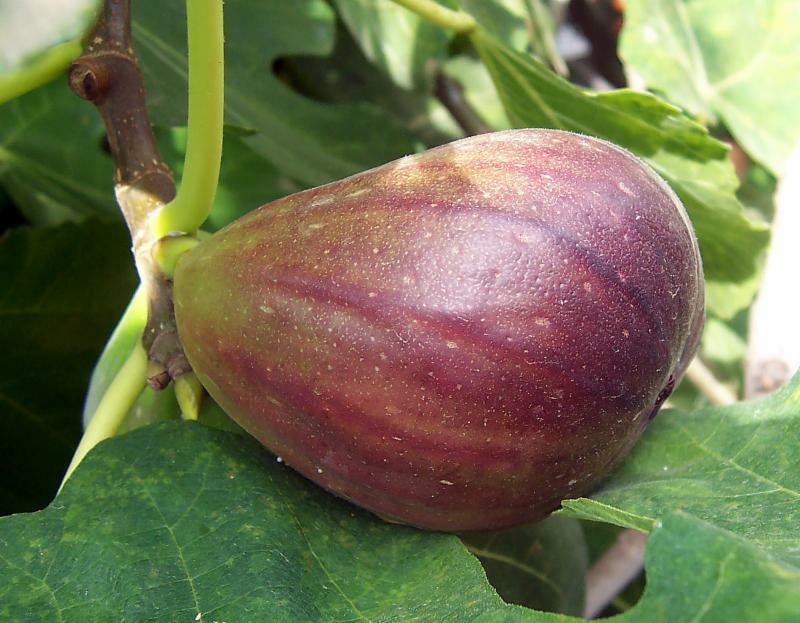 WASHINGTON, DC (March 30, 2015): Mexican fresh fig exporters are now able to ship their fruit to the continental U.S., under the condition the produce is treated with irradiation. The U.S. Animal and Plant Health Inspection Service (APHIS) announced the decision March 30 on the government's Federal Register website, following the publication of a pest list and risk management document (RMD) in June last year and subsequent public comment period. The figs may only be imported to the continental U.S. in commercial consignments and must be irradiated with a minimum absorption dose of 150Gy. The organization said it had received three comments by the end of the 60-day comment period, from an exporter, an organization of state plant regulatory agencies, and a state department of agriculture. The pest list identified six quarantine pests that were likely to follow the pathway of fresh figs imported from Mexico into the continental U.S.: Anastrepha fraterculus, A. ludens, A. serpentina, Ceratitis capitata, Maconellicoccus hirsutus, and Nipaecoccus viridis. Two commenters acknowledged that the mitigation measures described in the RMD would likely be enough to mitigate the risks of all six quarantine pests, but requested that figs from Mexico not be distributed in Florida due to the risk of an accidental or incidental introduction of quarantine pests into the state. However, APHIS said the requirement for the fruit to receive irradiation treatment provided effective safeguards, and in addition each consignment would be subject to inspection at the U.S. port of entry and must be found free of all quarantine pests. "We are confident that these requirements will adequately mitigate the risks associated with the importation of fresh figs from Mexico," the entity said. One commenter asked what phytosanitary measures would apply to figs exported from fruit fly-free areas of Mexico and whether those treatments will negate the figs' organic status. APHIS said that figs produced in fruit fly-free areas of Mexico would be eligible for importation into the United States without treatment for fruit flies, but the figs would be subject to the labelling, certification, and safeguarding requirements and would have to be inspected and found free of M. hirsutus and N. viridis. The CDC estimates that there are over 35,000 cases annually of food borne illness in the US caused by V. parahaemolyticus, a pathogen often found in shellfish. People around the world are eating more and more seafood, and if you're from the southeastern United States, oysters and other shellfish are a desirable delicacy for many. Most people are aware that eating raw or undercooked seafood can put them at risk for food-related illness, and while they have seen the warnings on restaurant menus, but may not know the specific microbes to blame. This post focuses on what is arguably the most important pathogen found in seafood (which is also on the rise) is Vibrio bacteria. Vibrio refers to a genus of Gram-negative, rod-shaped bacteria, and they are found naturally in brackish and saltwater environments, as they need salt to survive and grow. They also like to multiply in warm water, and the majority of human cases happen in the summer months. Out of around a dozen Vibrio species that cause disease in people, two species - V. parahaemolyticus and V. vulnificus- are most often associated with eating raw or undercooked seafood, particularly molluscan shellfish (oysters, clams, mussels, and cockles). These bacteria can also enter through a wound or by ingesting seawater, but these cases are less common. V. parahaemolyticus usually causes watery diarrhea, vomiting, and abdominal pain, sometimes with a fever and chills. People are usually sick for three days, and though unpleasant, the majority of people recover just fine, without needing prescription medications. The CDC estimates there are 35,000 V. parahaemolyticus cases a year in the United States. V. vulnificus is a rarer but more sinister creature, and is often associated with fatalities. Most people with V. vulnificus experience symptoms similar to V. parahaemolyticus, but the bacteria are a particular threat to those who are immunocompromised or have underlying health conditions such as liver disease, diabetes, or cancer. In these patients, the bacteria can enter the bloodstream (septicemia), causing severe fever, skin lesions, and shock. Around 50 percent of these patients die, and that is often in the face of aggressive antibiotic treatment and supportive care, which is more than a little scary. V. vulnificus infection is, however, a rare disease; there are only about 30 cases a year in the United States. The incubation periods (the time between eating the contaminated shellfish and becoming sick) are quite different for the two bacteria. V. parahaemolyticus starts making itself known around two to 48 hours after exposure, while V. vulnificus takes one to seven days. A clinical diagnosis using bacterial culture is still needed to be sure Vibrio is the culprit, in large part because symptoms like nausea and vomiting, and even the more severe septicemia, can be caused by a wide variety of microbes. Unfortunately, Vibrio cases have been on the rise, and according to the CDC's most recent Food Safety Progress Report, we saw a 75 percent increase in cases in 2013 compared to 2006-2008, and a 32 percent increase compared to 2010-2012 in the United States. The majority of these 2013 cases (62 percent, or 144 cases) were V. parahaemolyticus, and 9 percent (21 cases) were V. vulnificus. It is also believed that for every V. parahaemolyticus case that is reported, there are 142 cases that go undiagnosed. This is probably due to an underreporting of cases, as many laboratories do not use the special culture media needed to grow the bacteria. To improve our understanding of the impacts these bacteria, Vibrio infections were made a notifiable disease in 2007, which means that lab-confirmed cases have to be reported to the state health departments, which then inform the CDC. Unfortunately, we know considerably less about the significance of Vibrio infections in other parts of the world. For the love of the food, oyster aficionados have created some interesting myths on how to reduce their risk of disease from eating raw oysters, such as the notion that covering the oysters in hot sauce will kill bacteria. The old adage about only eating oysters in months containing an "R" has been around since the 1500's, and while the V. vulnificus levels in water are higher in the summer months, the CDC says that 40 percent of cases actually occur in the R-containing months between September and April. Similarly, some people think they can tell when an oyster is not safe to eat, but Vibrio bacteria do not change the taste, smell, or appearance of shellfish. Thankfully, the bacteria are quite susceptible to heat. People can reduce their risk of infection by ordering cooked oysters when they go to restaurants, or when preparing oysters at home, to follow a few simple precautions, which are outlined at Foodsafety.gov.